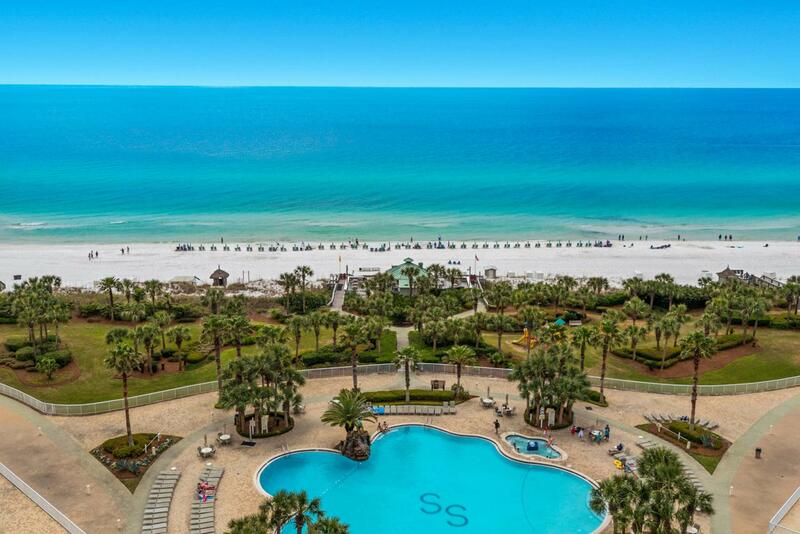 Spectacular gulf views from this 14th floor 3 bedroom, 2 bath condo. 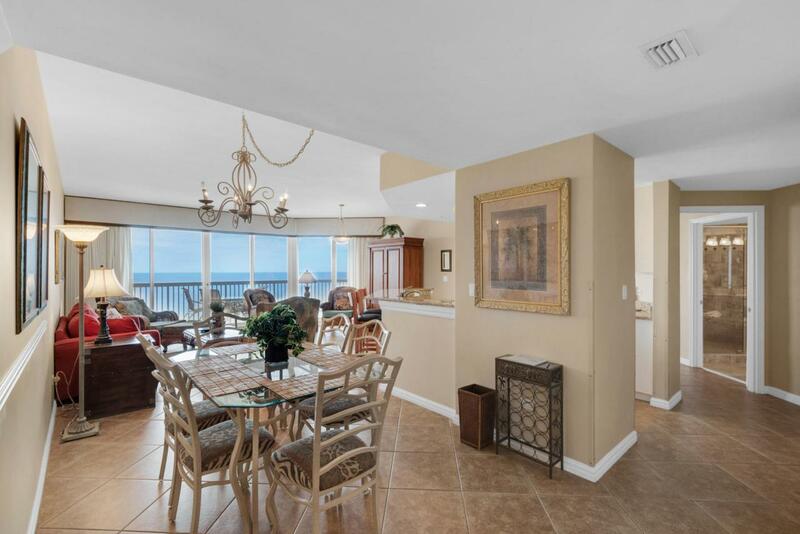 The living/dining/kitchen area and the master bedroom open to a gulf front terrace providing gorgeous views of the lagoon pool, the beautifully landscaped grounds, the sugar white sand beach and the emerald green waters of the Gulf of Mexico. The condo is sold furnished with tile floors throughout. 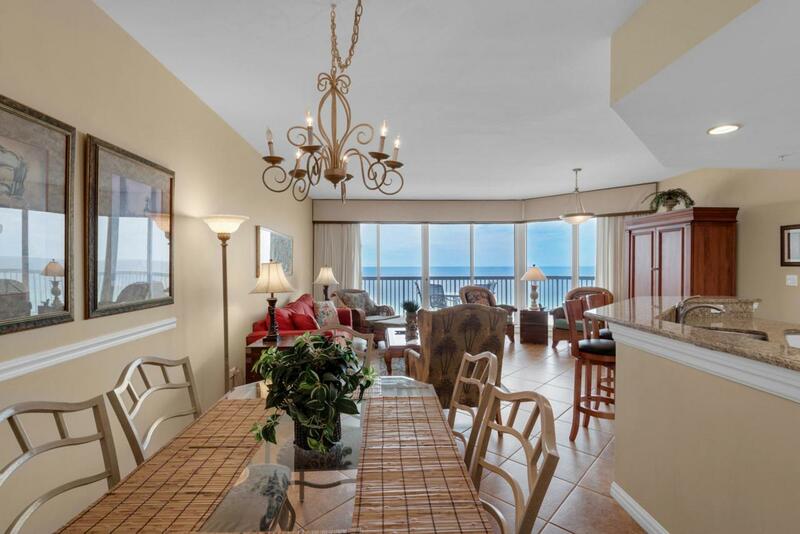 There are granite counter tops and a large breakfast bar in the kitchen along with more incredible beach views. The spacious master bedroom has a walk-in closet. The master bath boasts a Jacuzzi tub and separate walk-in shower. Both baths have new showers with beautiful tile work and glass enclosures. 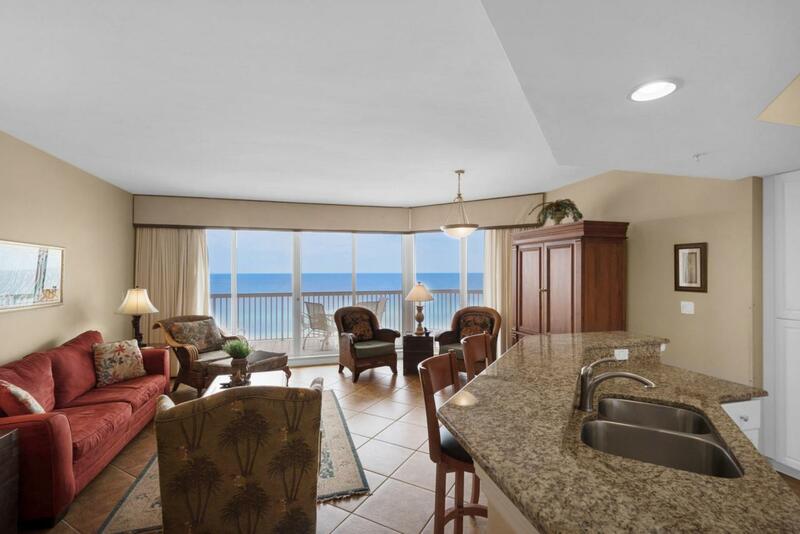 The 2 guest rooms share a second terrace providing views of the resort and the Choctawhatchee Bay in the distance. The condois currently on a short-term rental program. Deeded parking space in the garage and a climate controlled storage space comes with every unit. St. Croix is a gem sitting in the center of the Silver Shells Resort with every amenity imaginable: including 24/7 guarded and gated security, separate cardio & weight rooms, 4 tennis courts, basketball court, grills and picnic area, a 7500 square ft. lagoon pool, an indoor/outdoor heated pool, several hot tubs, children's playground, the Silver Shells Day Spa and Ruth's Chris Steakhouse. This 27+ acre resort, with lots of green space, has over 1000 feet of beach and a Sand Bar on the beach serving food and drinks in season. This one won't last! Call today to set up your private showing.